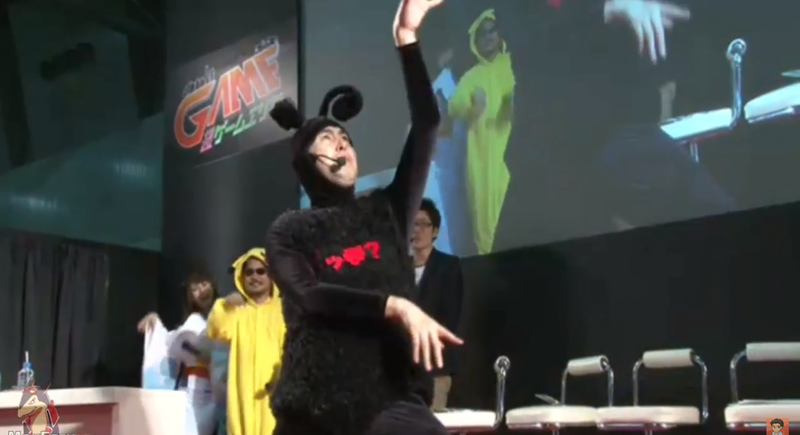 As for who that man was, it’s a long story, but his name is Tomoaki Imakuni (Imakuni for short) and he actually has a really fun history with the Pokemon franchise. Though that’s not what you came here for. Despite this surprise guest we did see a lot of game footage as well as the reveal of a new fighter that COULD be the most broken multiplayer character since Oddjob in the ‘9_ classic Goldeneye for N64. 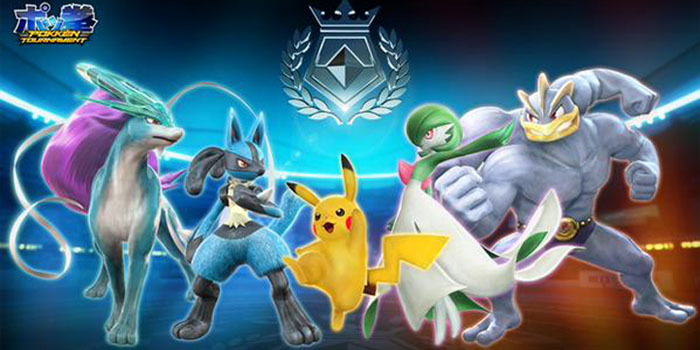 So let’s take a closer look at everything we know and saw for Pokken Tournament. 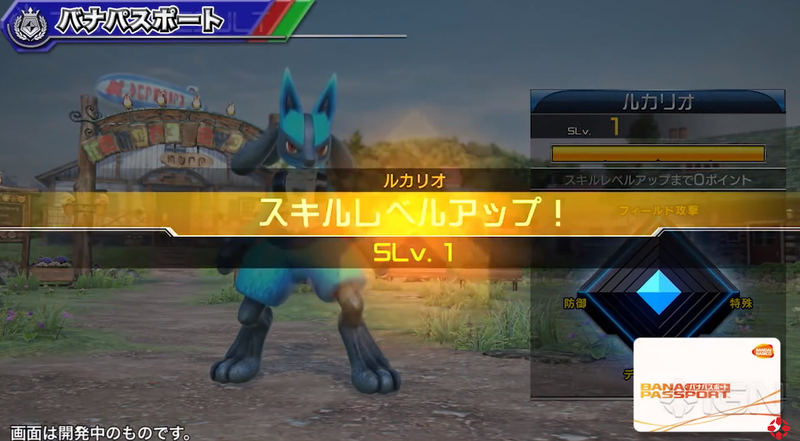 When we last checked in with Pokken Tournament, we got an initial reveal of Machamp, Gardevoir and Lucario – as well as some leaked footage of Blaziken. Though a little while ago we got word of some very unlikely new competitors entering the ring: Pikachu and Suicune. Considering Pikachu’s role as the brand mascot as well as all the new ways they keep trying to reinvent him – ie: Cosplay Pikachu of Pokemon ORAS series – it makes sense that he’d be one of the fighters. Though whereas it is funny to imagine a Pikachu trying to fight Machamp in a FIGHTING game, we have to remember that Pikachu was a fighter in Nintendo’s Super Smash Brothers franchise since the start, so he can definitely hold his own with the usual mix of quick and electrical attacks. Suincune on the other hand is a complete surprise. Sure he’s a legendary Pokemon, but without even being bipedal his role in the game will be an interesting one to be sure. Scizor, Tyrantitar, Hitmontop, Feraligatr. There are plenty of other Generation 2 Pokemon who fit the bill much better than Suicune; but despite all that, I’m fairly certain Suicune will become my default Pokemon of choice for this game. Perhaps it’s that intense love from fans that did earn this Pokemon a spot on the list. Either way, his inclusion is certainly an exciting one. Although these 6 Pokemon aren’t the only ones to make the cut … in a sense. 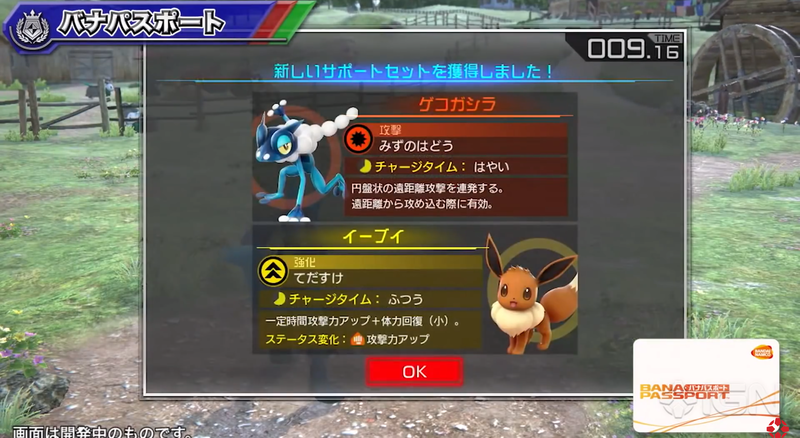 In addition to your normal fighters, there will also be Assist Pokemon that you can choose at the start of the match to help you out during battle. Not much is know abut this right now, but it seems as though different Aupport Pokemon have different costs and powers, so choose your helper(s) wisely. The options for this ranges from Starter Pokemon like Fennekin, Snivy, and Frogadier to rarer specialty Pokemon like Eevee, Lapras and Emolga. These Assist Pokemon can’t be used repeatedly though as each has a cool down period after using in order to deter spamming the same attacks. In addition to a wide variety of Fighters and Assist Pokemon, there also seems to be a training/level up aspect of the game. Since this is an arcade game – which will most likely be released as a full game later – it’s hard to judge the full extent of this system. Though if done properly we can expect customization aspects that allow us to control our fighter’s strengths and possibly even move pool. Throughout the battle you’ll build Resonance, which can then be used to activate your Burst Mode causing either a Mega Evolution (if available) or just a general power up. While in this form you can launch even more special attacks. It’s unclear at the moment whether or not Burst Mode will be time limited or if attacks (and time) will eat up your Resonance meter until it runs out and you power down. In 1997, a multiplayer character was introduced in the N64 Classic game Goldeneye that ruined countless friendships. This character was named Oddjob. In theory he was the character to help even the field for new players, but in reality he became one of the first broken video game characters. Due to his short stature and the games auto-aim, most gunfire and physical attacks went right over his head – leaving him unscathed and still fire at you without interruption. So why bring up this repressed memory? Well, it seems as though Pokken Tournament might have just revealed its own ‘Oddjob’ in the form of the Ghost-type Pokemon Gengar. You read that right, a GHOST in a FIGHTING game. Even if Pokken Tournament doesn’t take into consideration Type Advantages, you can’t punch a ghost – Real World or Pokemon World. The footage we saw was a little grainy, but during a Pikachu vs Gengar battle, it seems like one of Pikachu’s physical attacks either barely affected Gengar or phased right through him. Is this standard play or the set up for some kind of Feint Attack dodge? Only time will tell, but with it’s Burst Mode being its own Mega Evolution, it looks like this fighter might get banned as quickly as it was in the Metagame.